The distracted shepherd’s path is an easy path for children and families. The itinerary goes round in a loop of 1.5 km. You start and finish at the same point: not far from the Predazzo-Gardonè bubble car. Part of the path unwinds through the woods, it is panoramic and sunny. It takes roughly an hour, there is no need of being accompanied. The walk is ideal for families and children. For those of you with small children we recommend you bring a child carrier back pack: some sections are accessible with a push chair. You are at 1650 m of altitude, at Gardonè: at 15 minutes from Predazzo, in Val di Fiemme, on the Trentino Dolomites, UNESCO Heritage. Dahù (looking for Dahù experts, the search continues). 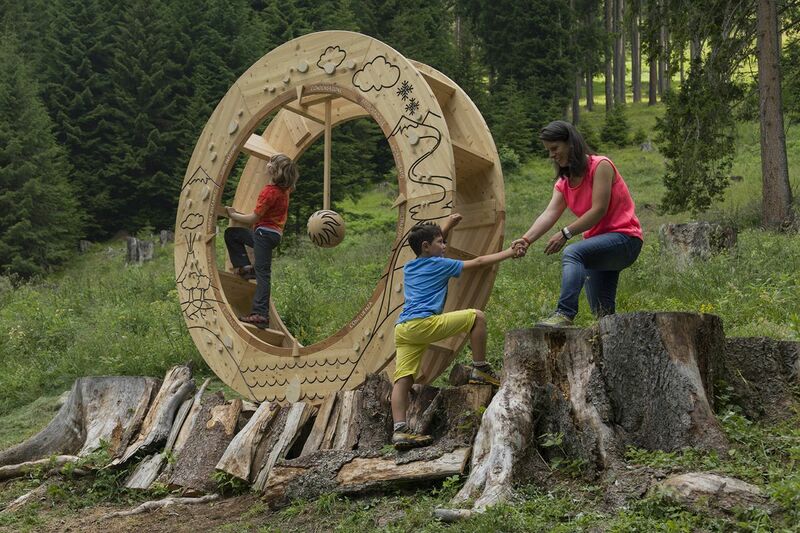 The path of the distracted shepherd is a theme path for children and families, an easy walk to discover the mountains, discovering how things were done once upon a time and the world of bees. 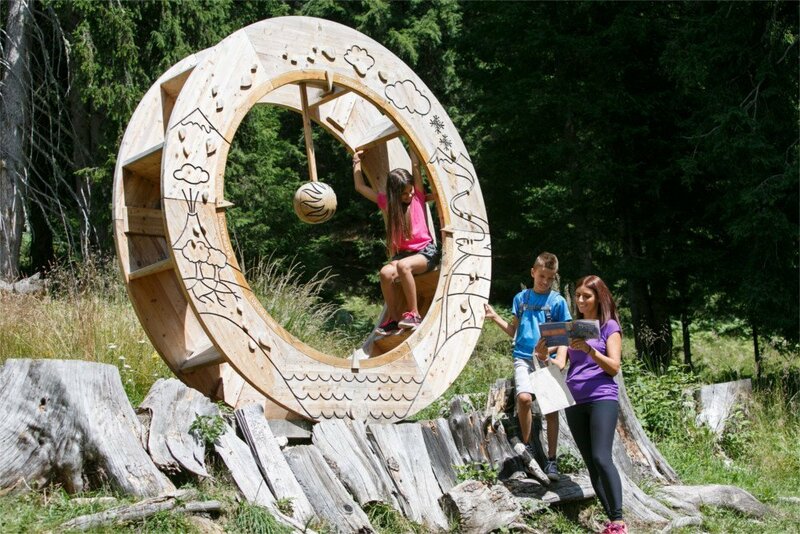 For families looking to enjoy a holiday in Trentino, the mountains in Val di Fiemme offer many surprises. If you are looking for activities on your family holiday, if you’re not afraid to play, if you wish to spend your holiday with your family enjoying yourself you can choose the distracted shepherd’s path. 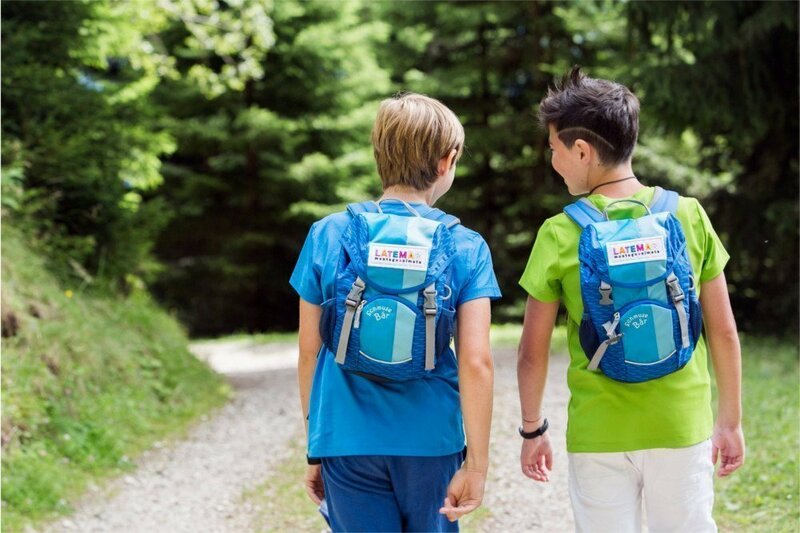 An easy walk for children which is full of games ready to be discovered. The path consists of a loop, and you need no training to do it. 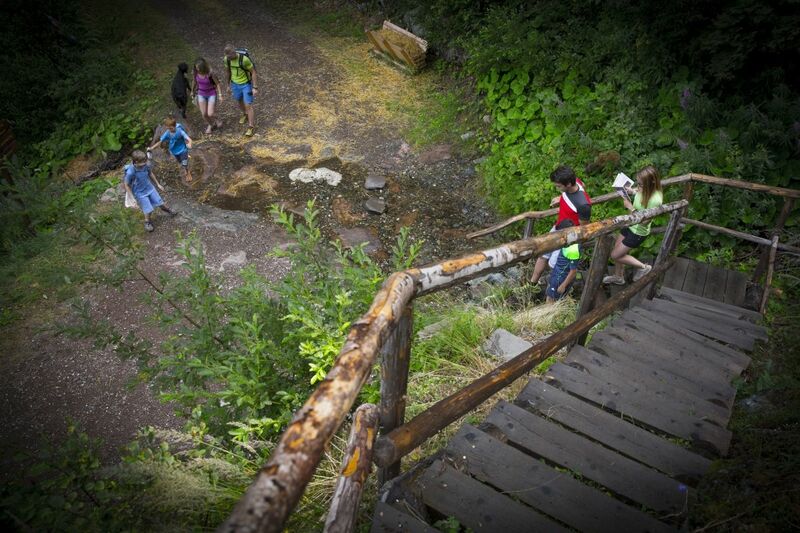 The walk is ideal for families and children. 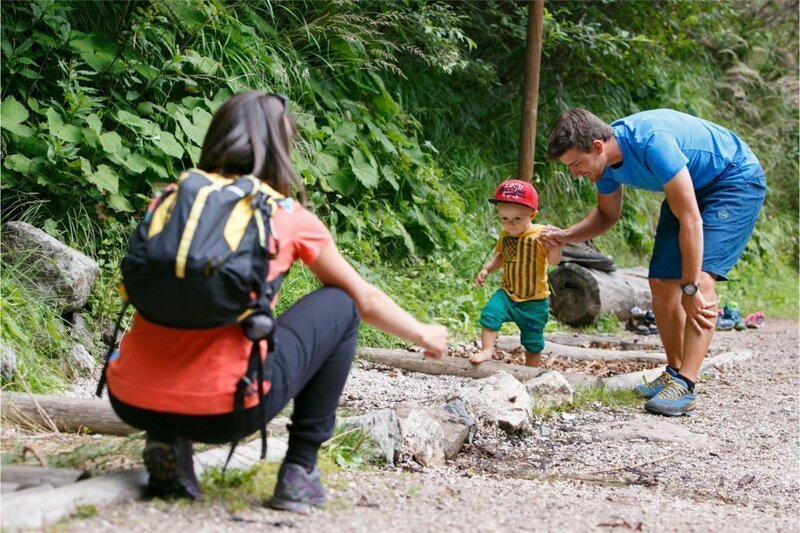 For families with young children (0-2) we recommend a baby carrier. 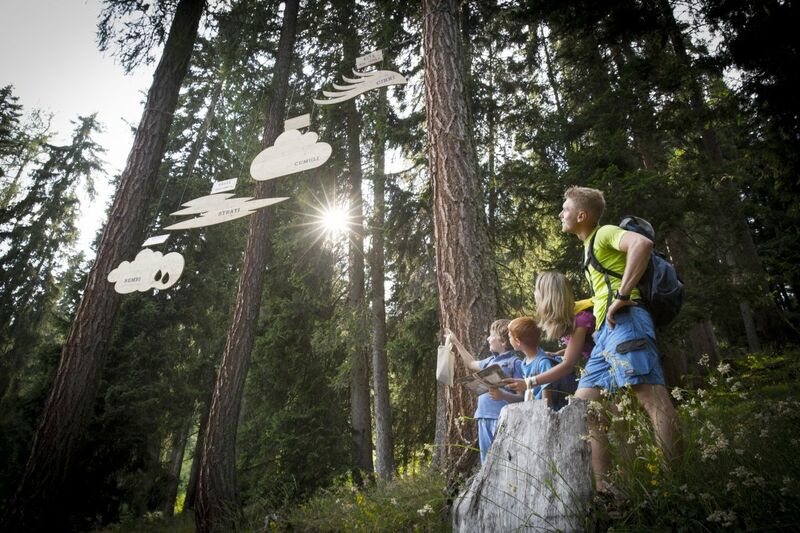 You can go for an easy walk with the children, play with them, solve riddles, find clues which can help discover the objects forgotten by Martìn, discover the world of bees, the secrets of water and Latemar’s sources, guided by the playbooks you find at the Punto Info (Info Point) at Gardonè. 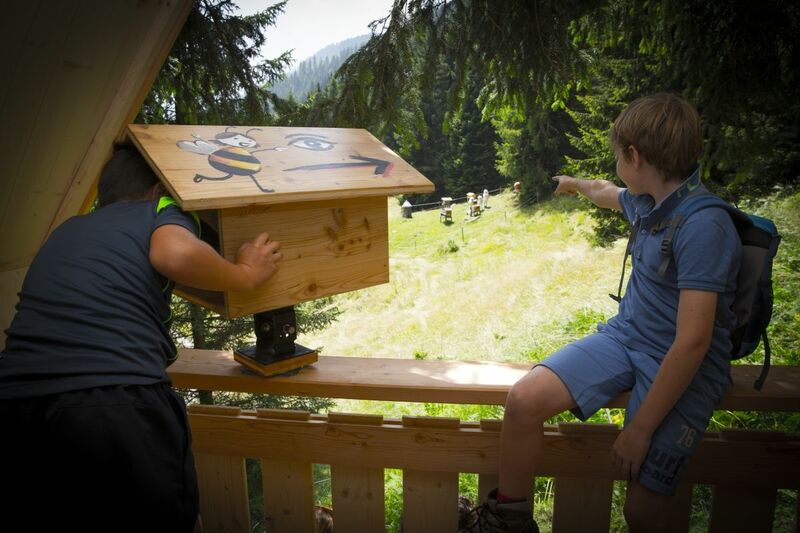 enjoy yourself by following the itinerant shows along the path: on Monday you will discover the mountain’s know how, and “Doctor Propolis” and you will learn how to make “Making a tree”, on Tuesday we will follow the Dahù’s tracks, a funny little animal with two short legs and two long legs. 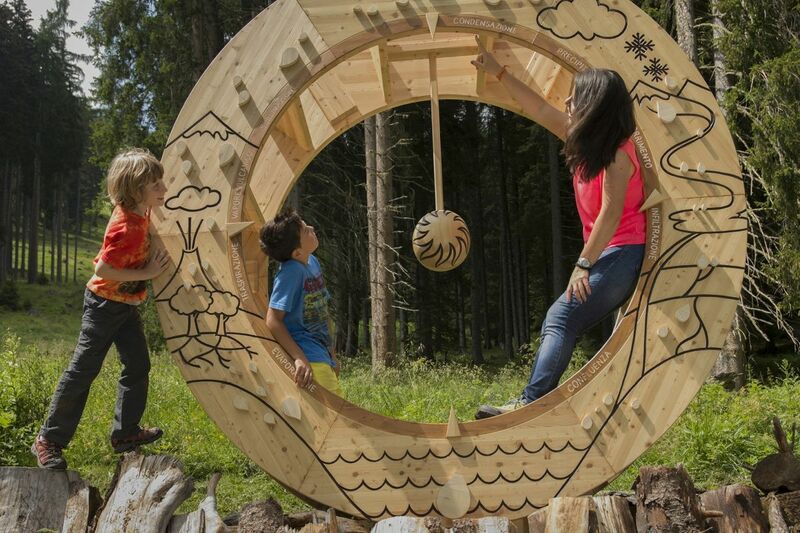 you can walk freely along the path, train your look and discover the objects forgotten by Martìn and the world of bees with the children. The distracted shepherd’s path is made for playing. 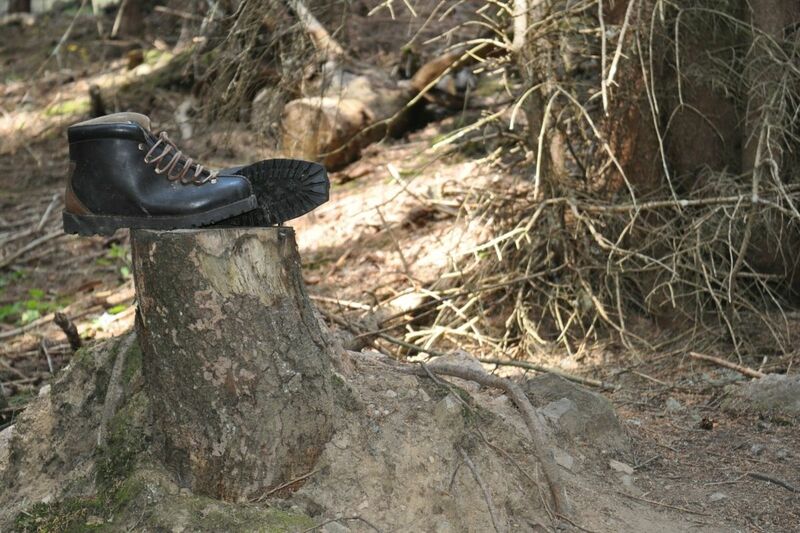 You are in Trentino, Val di Fiemme, on the slopes of the Latemar mountains. 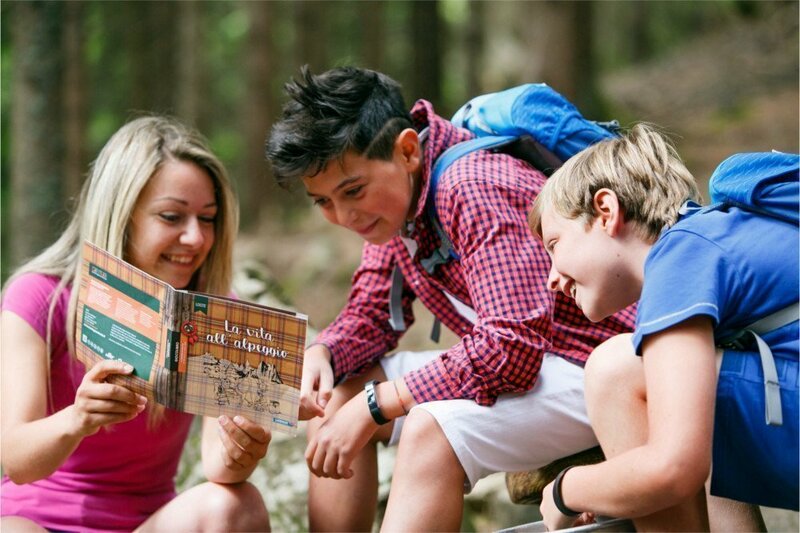 The best way to discover this thematic path is with a playbook: clues, riddles, short stories to learn all about nature. You can choose among five playbooks: three describe Martìn and his adventures as a budding shepherd; two talk about the delicate and fragile world of bees with La Pina and Mì. 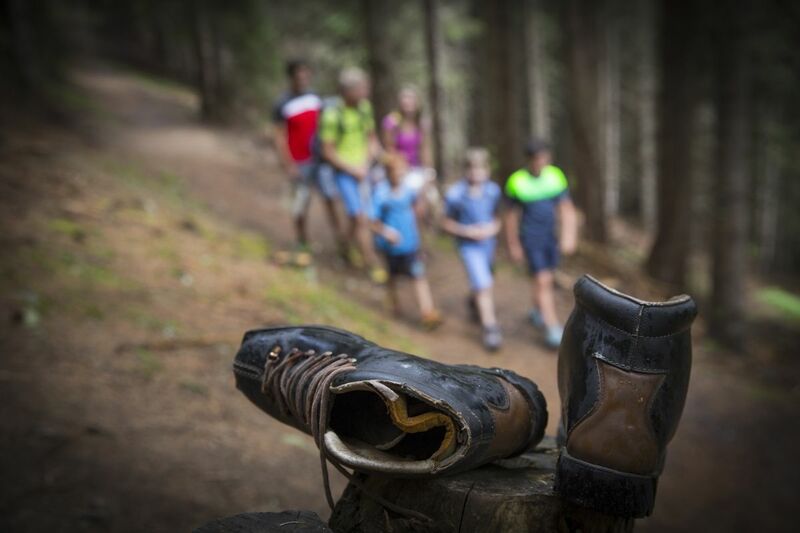 If you are looking for a holiday activity, if you enjoy playing, if you have chosen a family holiday in Trentino, the path of the distracted shepherd is ideal for you. As you walk you leaf through the pages of the playbook, solve riddles and at the end of the itinerary, if you complete it, you will get a prize at the Info Point. 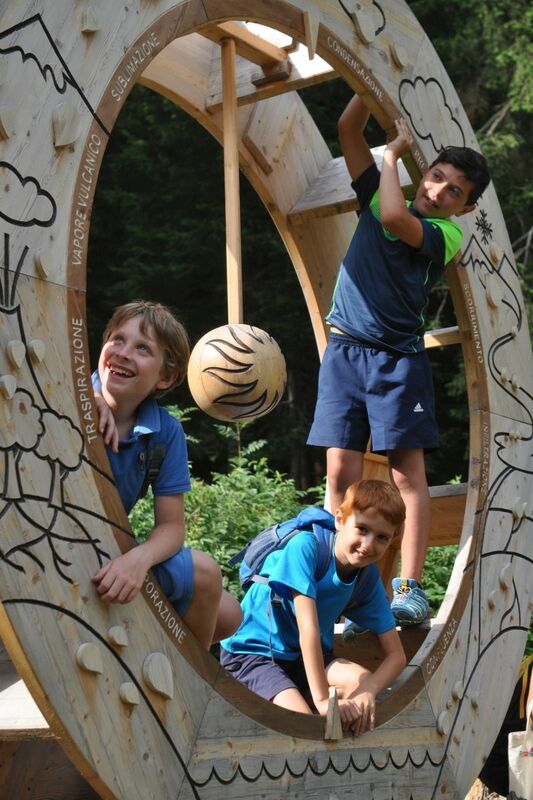 A few of the prizes are made in wood by local craftsmen, and designed by the students of the Art school G.Soraperra di Pozza di Fassa. 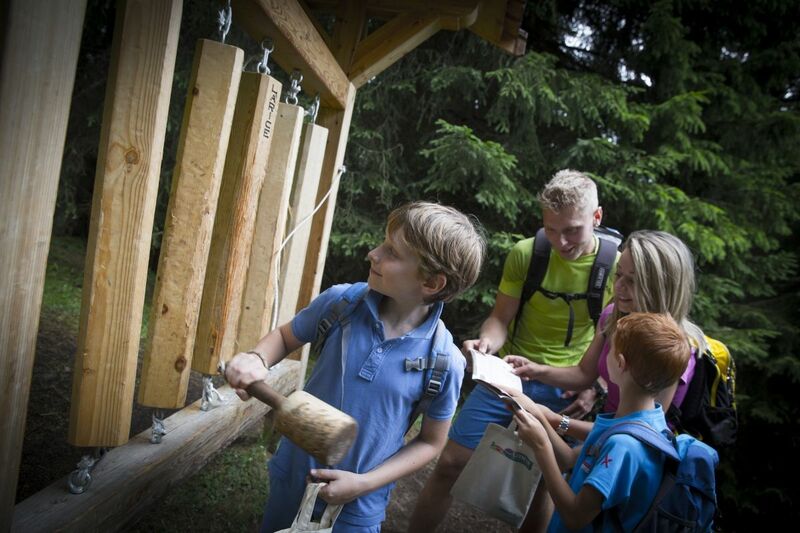 At the Info Point they will help you with everything: the game of Difr, reading themes, books and small presents from your family holiday with children in Trentino, in Val di Fiemme, near Predazzo. The distracted shepherd, and grandpa’s secrets. Along the path of the distracted shepherd discover what was common in mountain life once upon a time: all families owned at least one cow, they cut grass with a scythe, carried wood down to the valley. 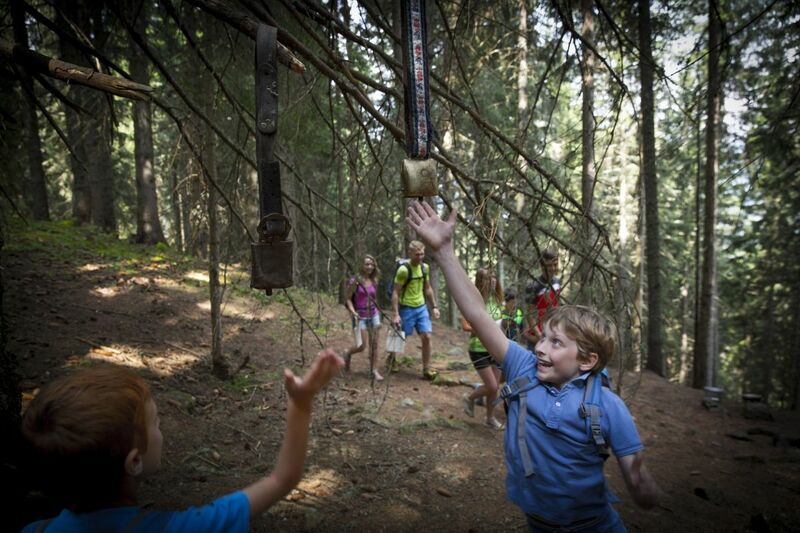 Activities which are still undertaken in Val di Fiemme: the tools have changed and only a few people still choose these activities. It is the cycle of nature: from the tree to the table, from milk to cheese, from herbs to natural remedies to get better, from bees to honey. Along the path find out about the tools needed for each job: the pitchfork, rake, basket, bucket and stool, the trough, backpack, boots, milk cans, sickle, hat, “cosae” (a wooden container for the stone which sharpens the sickle), the “crachesa” (a support with shoulder straps to carry wood or milk cans). Children used to take the cows to pasture, they would collect the hay and spend the summer up at pasture. Some children, once school is over, still do it. At the beginning of the season there is “montega” – when the animals go up to pasture – and in autumn “desmontega” – when from the mountains the cows head back down to valley for the winter season. Albina, is the person that can tell you all about life on Latemar 50 years ago, in Val di Fiemme. 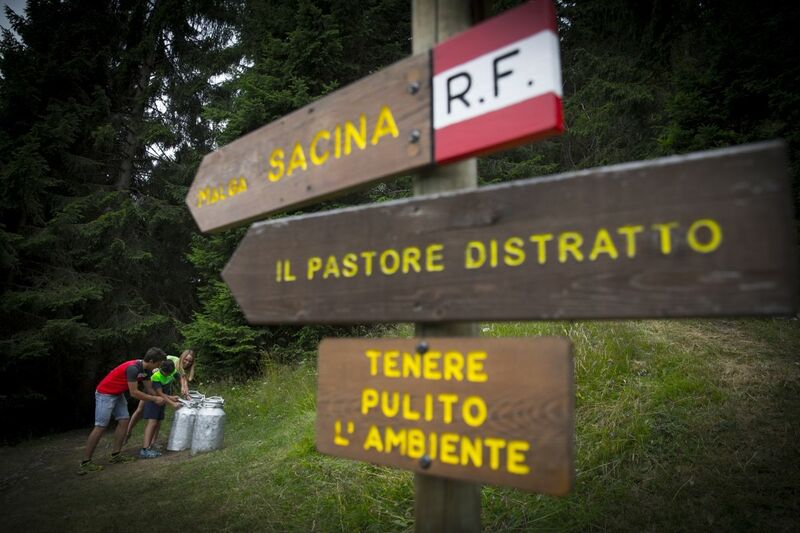 Along the distracted shepherd’s path, while on holiday in Trentino, you can enjoy yourself and learn all about the water cycle through the different phases: evaporation, condensation, precipitation. Water is a great resource for man, nature and fauna. 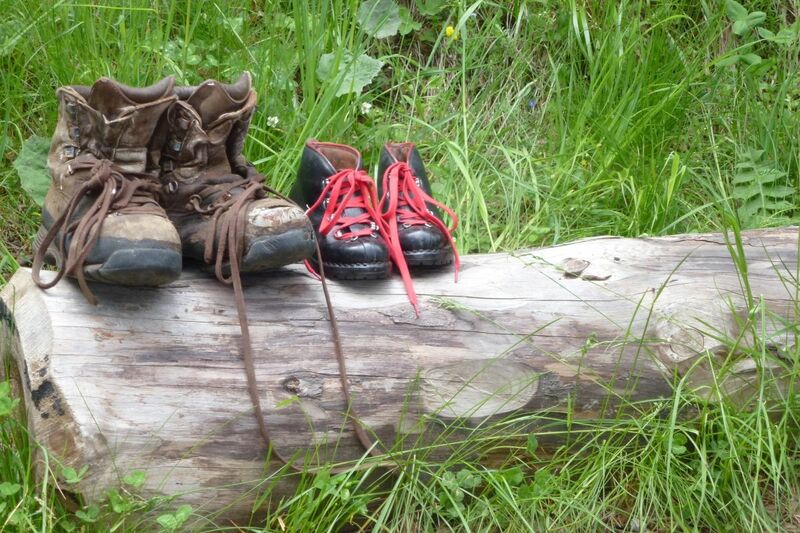 Half way: take your shoes off and walk bare foot along the sensory path. 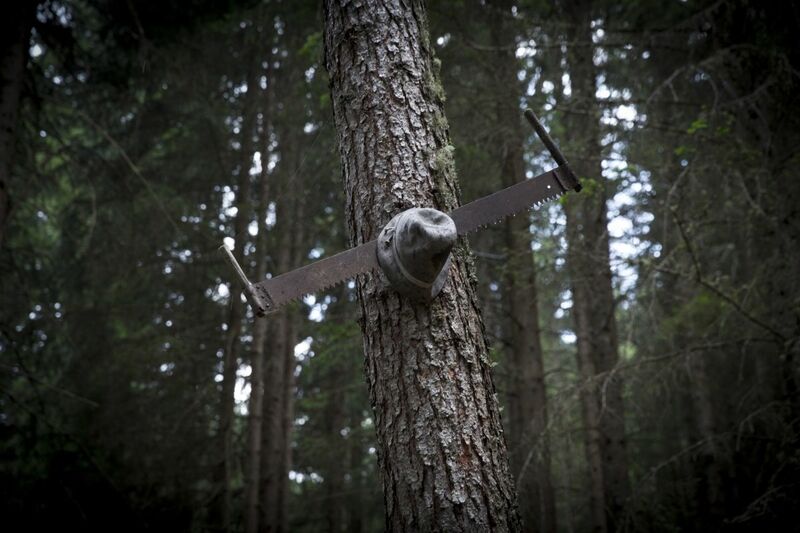 You will feel moss, pine trees, branches of larch, stones from the river, little logs and bark. 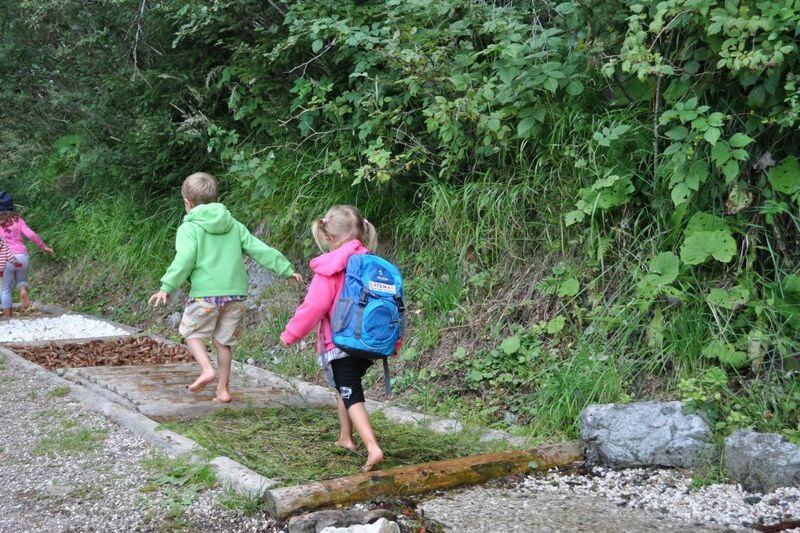 The kneipp path is a regenerating massage, ideal for those looking for a holiday in contact with nature. There is a beautiful water mill: it was a challenge to build it. 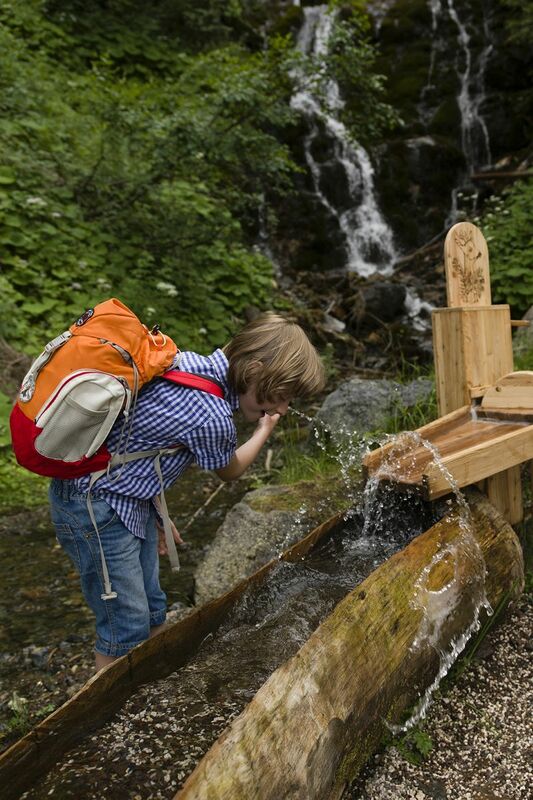 It is made out of wood, and takes water from the stream bringing it into a channel. With your help, from the channel, a bird, a roe deer, a cow will appear. To see them, all you need is a bit of curiosity. Continuing along the path, be careful of the majestic silver fir: it is the only one, in amongst so many spruce and larch trees, to live on Monte Feudo and it is roughly 170 years old. 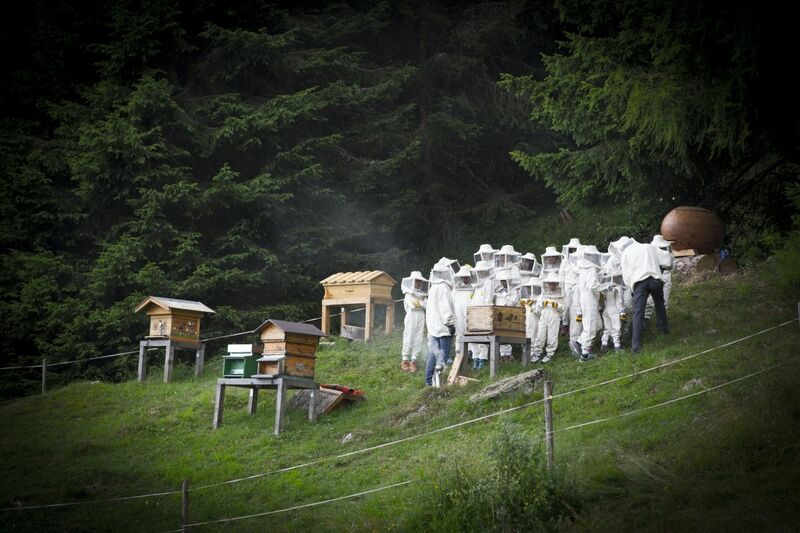 Along the path you will find a signpost with a detour: it will lead you to our experimental apiary. 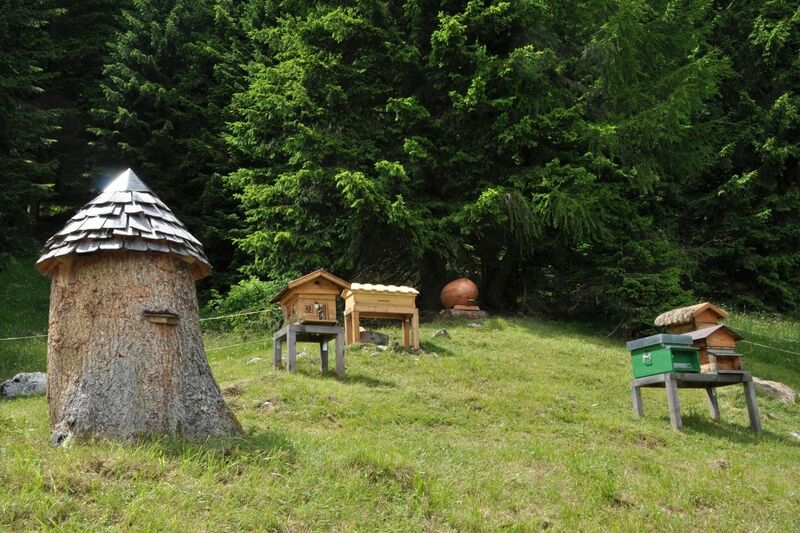 There are different types of hives: the one with a solid wooden base and walls made of durum wheat straw. Inside it is covered with mature excrements and wax to be safe and cozy. The traditional hive, has been completely dismantled, cleaned, reconstructed, painted. Then there is the one obtained from a large empty tree trunk, with a solid roof, covered by larch tree slates. 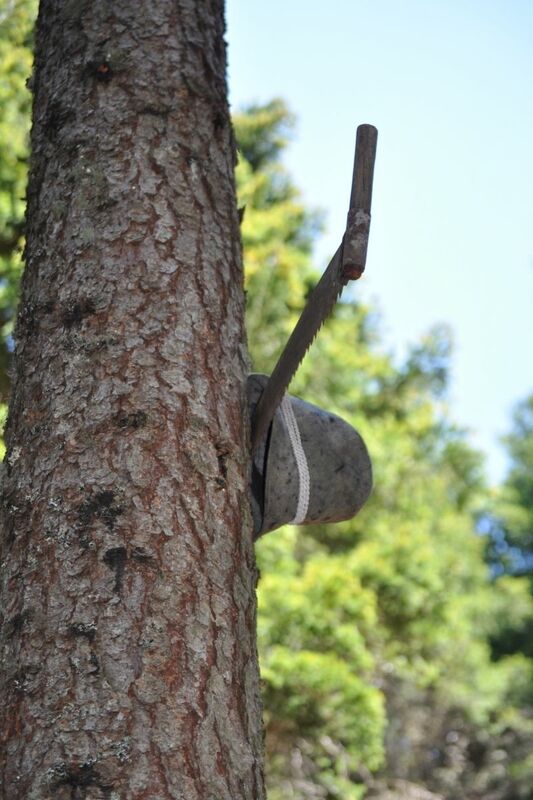 Then there is the oval shaped hive, made by the local artisans who followed Rudolf Stenier’s principles. Stenier believed that bees loved soft and round shapes and it was man for his convenience to have built rectangular structures. There is the “Kenya top bar” hive which is the educational one. All around blooming meadows: rhododendron, arnica, raspberry and calendula. The hives are not positioned in a line, but in such a way that the direction of flight allows the bee to fly in and out without getting in each other’s way. There is a strong telescope along the path to observe them: take time to study their movements, they will continue looking for the best flowers.